Prom Closet changes lives by providing prom attire and accessories, free of charge, to girls around the region and state. Prom dreams come true as girls find their perfect look. Get involved by shopping, donating, or volunteering! Prom Closet 2019 is now closed. We are sorry if we missed you for shopping. All of our items are in storage and not accessible until next year. Below is a list of other facilities that may be of service to help you find a beautiful dress for your dance. We are currently not accepting donations at this time. We appreciate you thinking of us. Please check back with us again for donation updates. 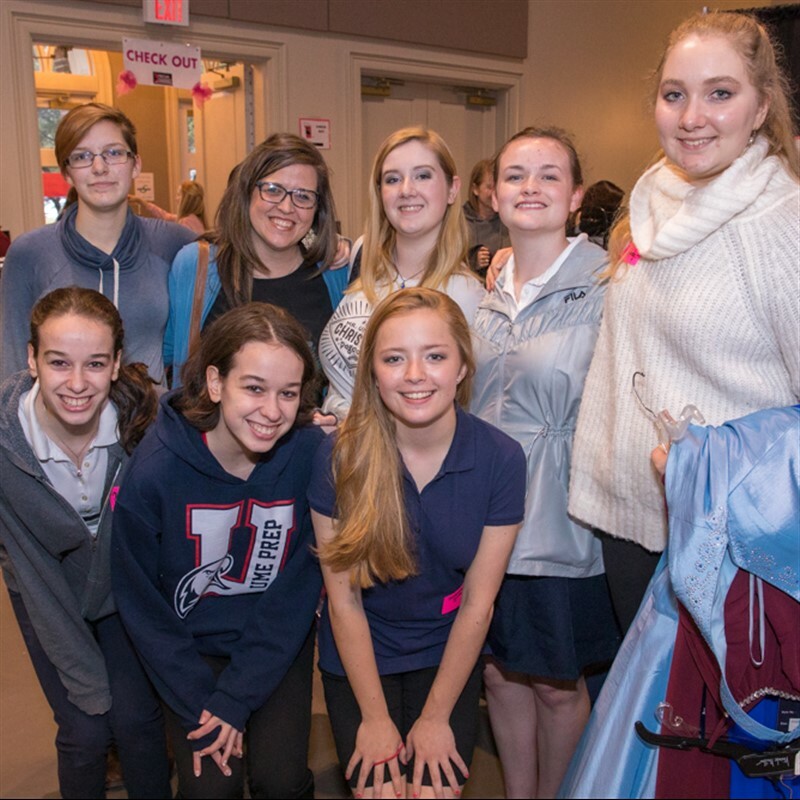 Prom Closet relies on volunteers for various roles, including all levels of physical capability. Among the duties are check-in desk, dressing room assistants, and set-up crew members. St. Andrew Prom Closet, run by the St. Andrew United Methodist Women, provides donated dresses from size 0-28 for prom. Additionally there are accessories to go with the dresses such as jewelry, shoes, handbags, and wraps. All of it is available at no cost. Only requirement is that each girl must be present to select her dress and accessories. There are currently 3,500 dresses to give away. This is open to any girl from anywhere. If you live outside the Dallas-Fort Worth area, you can still come! We have had girls from Arkansas, Longview, Waco, and Wichita Falls. 2020 dates and times will be determined at a later date. Prom Closet was created to provide a unique shopping experience for young ladies who because of finances would be unable to attend prom. 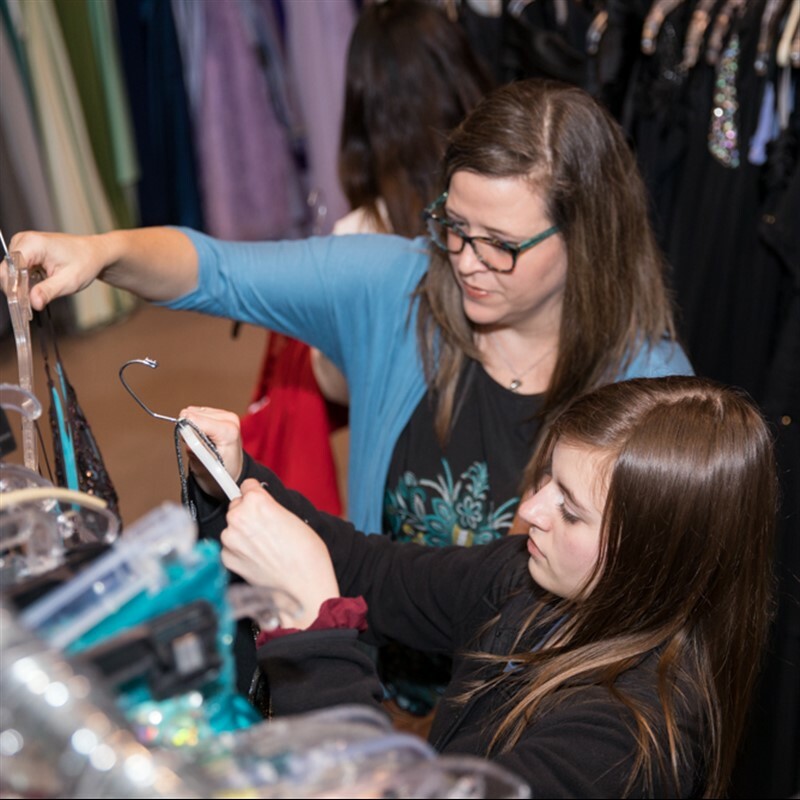 Prom Closet organizers and volunteers confirm that not only is the need great, but the impact the dress makes on the girl and her family is immeasurable. The room is set up like a boutique. Each girl will be greeted as she enters the room and directed to the dress racks for her size. Once she has selected her dress, she can try it on in one of our 20 dressing rooms. Then she visits the boutique to look for jewelry, shoes, a handbag and a wrap. Where are the items from? 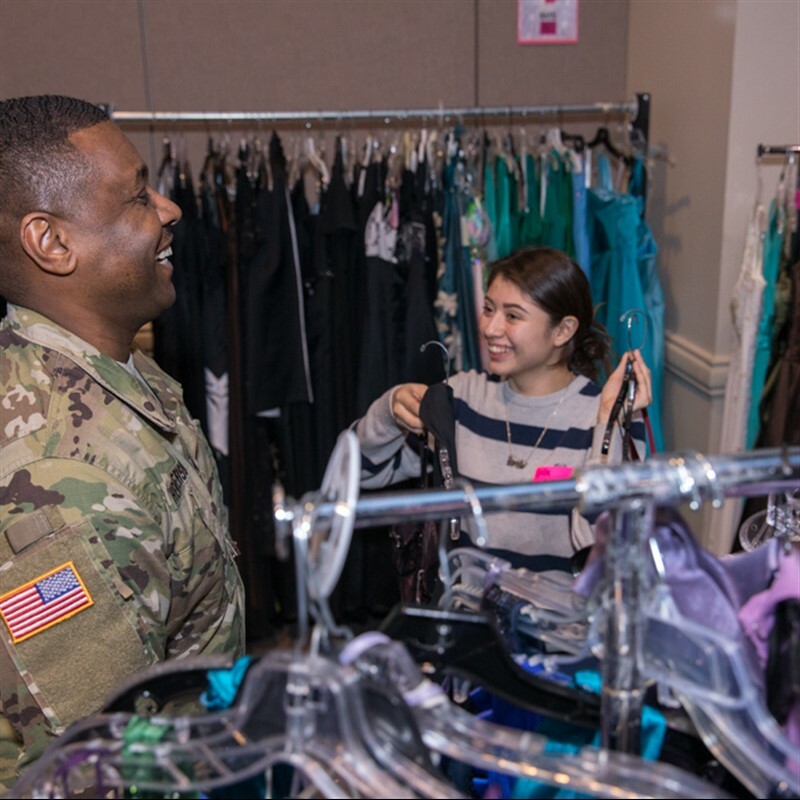 Community members, businesses, organizations, and local groups have donated dresses, shoes, wraps, jewelry, handbags, and other accessories for this annual event. Some dresses have never been worn. How many have you served? 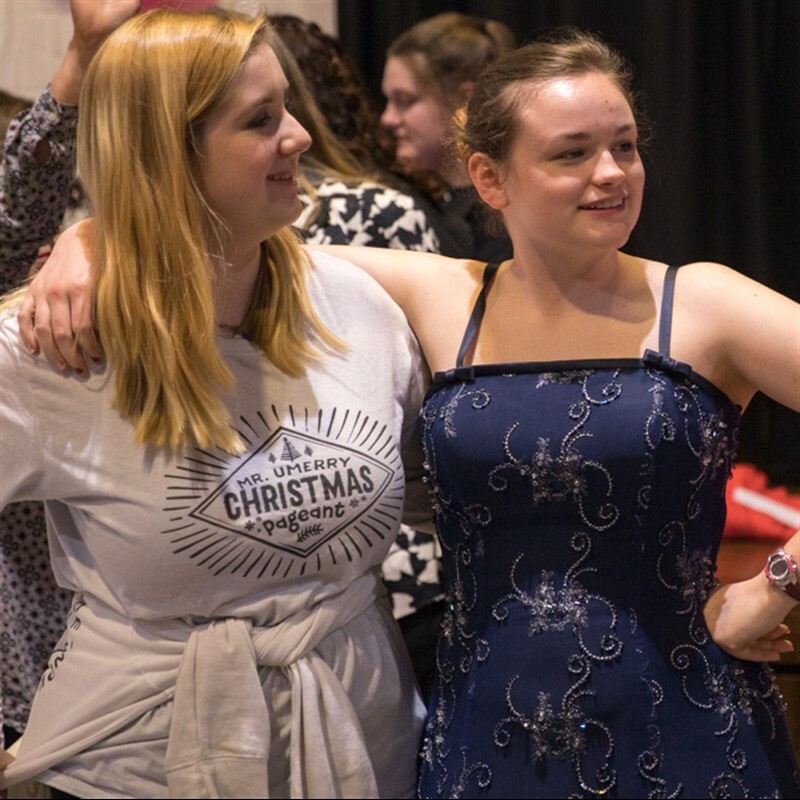 The first year, Prom Closet provided 35 dresses to local high school girls, and last year, 1,207 girls (from 76 different school districts and 204 schools) received dresses and accessories, all donated by community members, local groups, corporations, and businesses. Where do people need to go? St. Andrew United Methodist Church, 5801 W. Plano Parkway, Plano, TX, 75093 in Smith Worship Center (park in the west parking lot off Plano Parkway). Follow directional signs for parking, church entrance, and to find shopping area. What if people have questions? Call the Prom Closet informational hotline at 469-385-1810, or email standrewpromcloset@gmail.com. The Waco Children’s Home made three separate trips to bring girls to the Prom Closet because the van could not hold everyone that wanted to come at one time. Every girl found a dress! 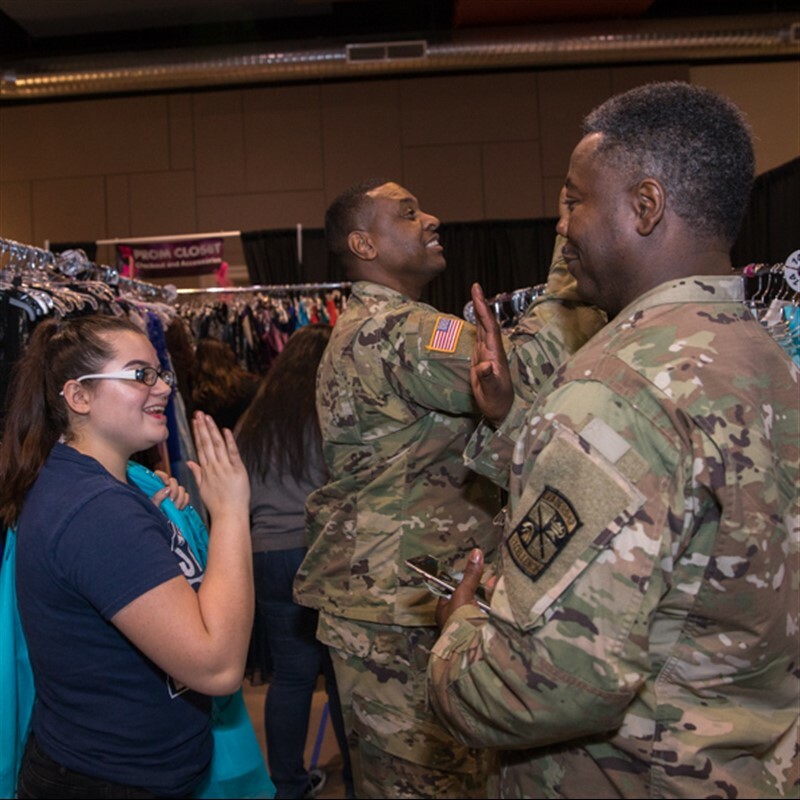 We served girls who reside at Samaritan Inn; a group of six foster teens brought in by a social worker; and three vans of Roosevelt High School girls brought in by ROTC instructors who were in need of gowns for the school’s Military Ball. The Prom Closet made a difference, lifting financial burdens, giving hope, and making dreams a reality. A young lady who is now at the University of Texas on scholarship needed a dress for prom. A church member who was mentoring her told her about the Prom Closet. The young lady had been mentoring a special needs freshman boy at school and was able to take him to prom since she found a dress. One family had been fretting over how they were going to afford everything for their daughter to attend her prom. They were watching the news and learned about Prom Closet. The mother and daughter jumped in the car as soon as they saw the story. The father told them he would call and give them the directions so they could make it in time. The daughter found a dress and accessories and both were so appreciative and thankful. A young woman who had been nominated for prom queen could not afford a dress to attend. She found the perfect dress at the Prom Closet and had a night she will always treasure. 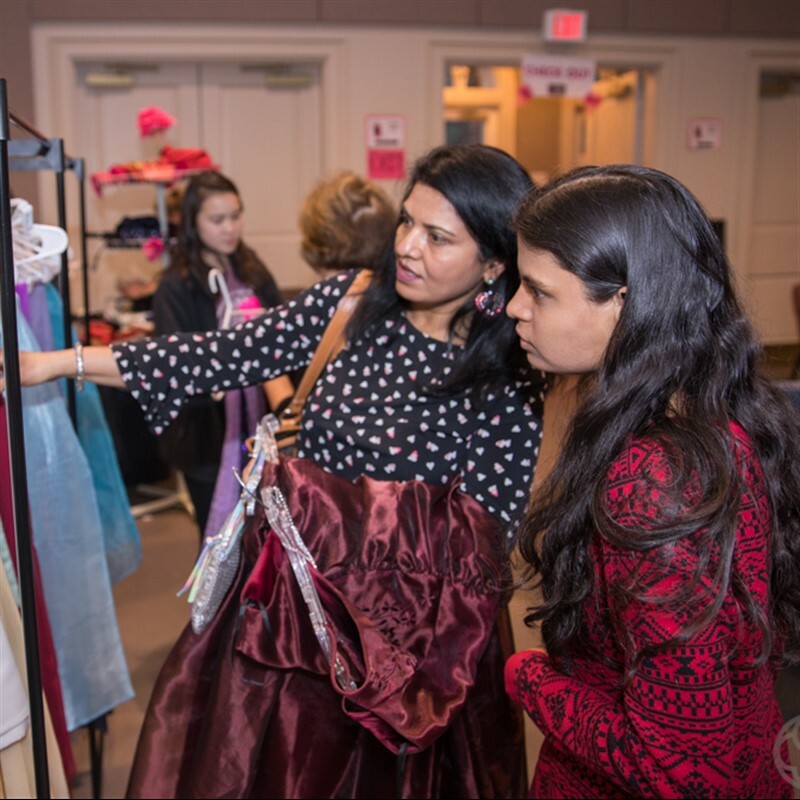 Plano, TX – St. Andrew United Methodist Church is hosting the 11th Annual Prom Closet, Feb. 19, 20, 21 (Tuesday-Thursday, 4-8 p.m.) and Feb. 23 (Saturday, 9 a.m.-noon), in the Smith Worship Center at St. Andrew United Methodist Church, 5801 W. Plano Parkway, Plano, 75093. (The Prom Closet is closed on Friday, Feb. 22.) Girls from anywhere in need of a prom dress are invited to come select a dress and accessories, all at no cost. This year there are 3,500 available dresses ranging in sizes from 0 to 28, many of which have never been worn. The only requirement is that girls must be present to select their dresses/accessories. 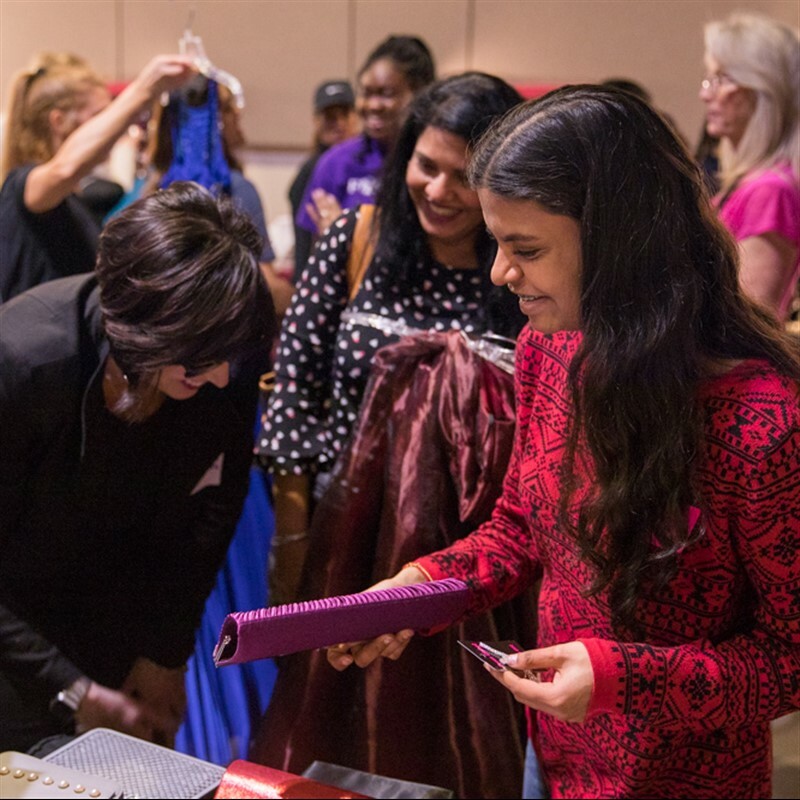 Community members, businesses, organizations, and local groups donate dresses, and accessories for this annual event, organized and operated by The St. Andrew United Methodist Women. St. Andrew is asking the community to drop off donations of dresses and accessories such as jewelry, handbags, shoes, and wraps at the church at 1401 Mira Vista (east side of campus) in Room 133, Monday-Thursday 8:30 a.m.-9:00 p.m.; Friday 8:30 a.m.-1:00 p.m.; and Saturday 9:00-11:00 a.m. A link on Amazon is available for anyone that would like to help by purchasing items, which will be shipped directly to the church. To review items available for purchase, visit https://tinyurl.com/PromClosetWishList. The Prom Closet was created to provide a unique shopping experience for young ladies who because of finances would be unable to attend prom. 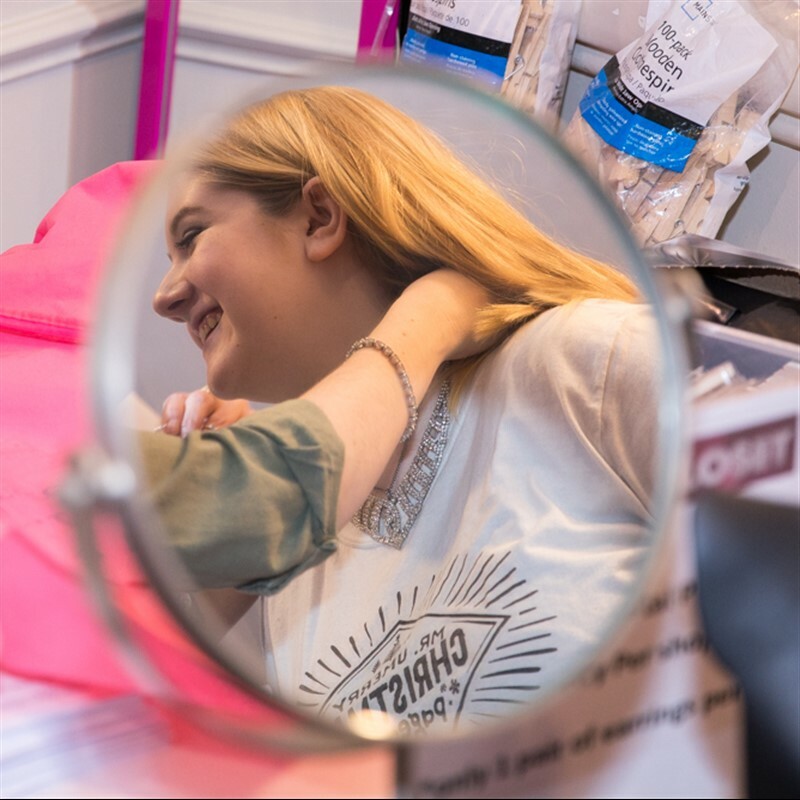 Prom Closet organizers and volunteers confirm that not only is the need great, but the impact the dress makes on the girl and her family is immeasurable. Email standrewpromcloset@gmail.com, or call 469-385-1810 for more information. Area school counselors have received information on their campuses about the annual Prom Closet. Students must be present to shop for selection of dress and accessories. Shopping will take place at the church, in the Smith Worship Center, at St. Andrew United Methodist Church, 5801 W. Plano Parkway, Plano. Park in the west parking lot off Plano Parkway. The church buildings are currently under renovation, so please look for the Prom Closet directional signs. UME Prep has attended Prom Closet the past three years. "It's a real bonding time for the girls," said sponsor April Snook. "They're encouraging each other. They're telling each other they look beautiful. It's doing so much more than just giving dresses and jewelry." Girls from UME Prep shop at Prom Closet, which has become a tradition for the school. Prom Closet serves girls around the area and the state. Roosevelt High School Junior ROTC drove from Dallas to get outfitted for their Military Ball. 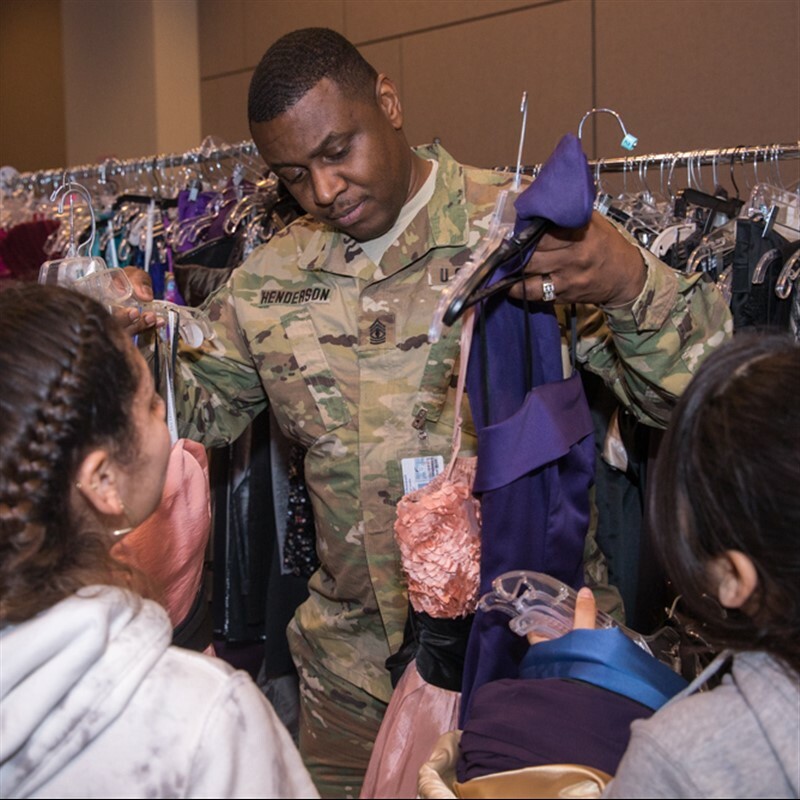 The organization's three instructors – retired First Sergeant William Henderson, retired First Sergeant Charles Paige, and retired Master Sergeant Sammy Brooks – have seen the Military Ball grow from around 20 students to more than 100. "Coming out with them and them seeing that you care about them getting a dress, it kind of creates a special bond," Paige said. "Once the students see that you care about them, then they start caring for others. Then it spreads throughout the entire unit." Roosevelt High School Junior ROTC came from Dallas to get outfitted for their Military Ball.